Liverpool and Barcelona are reportedly both eager to land Paris Saint-Germain midfielder Adrien Rabiot and potentially face a transfer scrap. As it stands, the 23-year-old will be available on a free transfer at the end of the season with his current contract set to expire. With that in mind, coupled with the quality that he could bring to either Anfield or the Nou Camp, it’s no surprise that Liverpool and Barcelona are said to be keen on snapping him up, as noted by Mundo Deportivo, and re-reported by The Sun. It’s added that the Merseyside giants have made a ‘powerful offer’ to convince him to move to England, although Juventus, Man City and AC Milan are mentioned as other interested parties while PSG will undoubtedly hope to convince the French international to sign a renewal. If they fail to do so, then selling him in January for a cut-price deal would seem to make more sense than losing him for nothing next summer, but it remains to be seen if that’s the path that they follow. 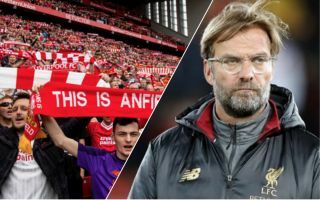 For now, it’s suggested that Liverpool are ready to rival Barcelona for his signature, with Jurgen Klopp seemingly still keen to bolster his midfield options despite signing Fabinho and Naby Keita this past summer. Add the likes of James Milner, Georginio Wijnaldum and Jordan Henderson to the mix, and the German tactician appears to have plenty of options in that department. Nevertheless, given Rabiot’s classy ability on the ball in terms of technical quality, passing and goal threat, he could add a different dynamic for Liverpool. With those characteristics in mind, he would arguably be a perfect fit for Barcelona too, and so it remains to be seen who wins the battle to sign him next year if he does leave the French capital.